Kevin Mulcahy is someone you go to when you want the straight story on what’s happening in HR, learning and the future of work. Along with his colleague Jeanne Meister, he’s a partner at Future Workplace, with years of experience advising global companies on how to future-proof HR. We caught up with him to find out more about the future of work, how HR can use AI, and why continuous learning matters for everyone. Check out the 3 part podcast interview. Yes, we’re two Irishmen and once we start talking, there’s no stopping…. What is the Future Workplace going to Look like – and who’s already there? What are the key trends you see in this area? What role does learning and technology play in navigating the future workplace? Why does AI Matter for HR? How can it shape recruitment, selection, development, performance management and learning? Who’s already using AI in HR? What are they doing? 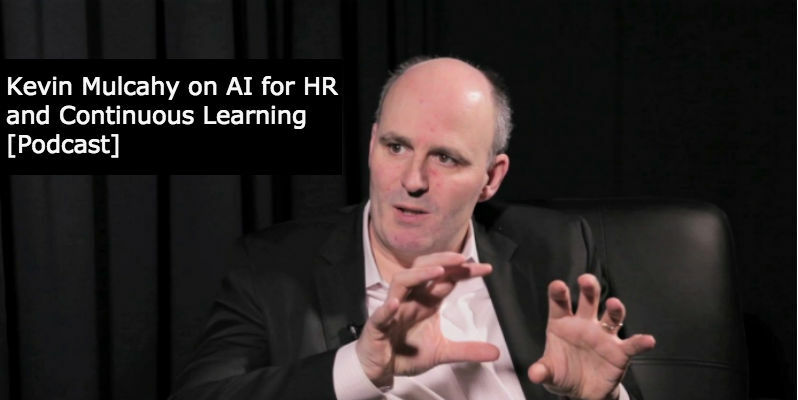 How can HR professionals get started with AI in their organizations? Why does continuous and lifelong learning matter? What is the impact on HR and learning professionals? What’s the opportunity? What role does content curation play, and how can Learning and HR professionals curate in practice? If you want to stay smart on these topics, in particular AI: Sign up for Future Workplace’s new course on Using AI for HR – it starts on Sept 24, and we’re curating content here at Anders Pink to bring in some continuous learning on AI to support it. Let’s make it even easier: Use the promotion code “ANDERSPINK” to get $100 off the course enrollment. No brainer if you want some AI for your HR Brain….